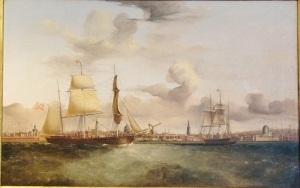 William K. McMinn (British 1818-1898), The Barque "Orkney Lass" in Liverpool Harbor, circa 1855. The vessel is depicted in two views, once in the foreground and again in the background at right. 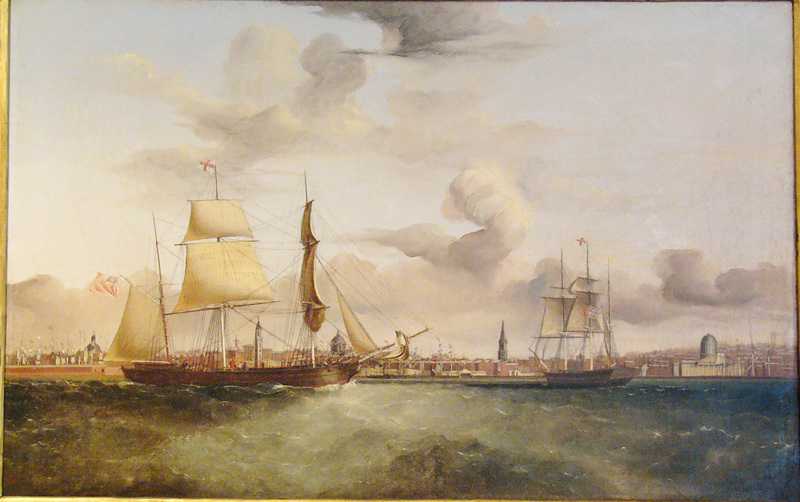 With its extensive warehouses, buildings and custom house, the Liverpool waterfront was a favorite background for such well-known ship portraitists as McMinn, Walter, MacFarlane, Heard, and Hustwick. Oil on canvas, 24" x 37", in a fine reproduction frame. The reverse with label for J. Davey & Sons, Liverpool. See pp. 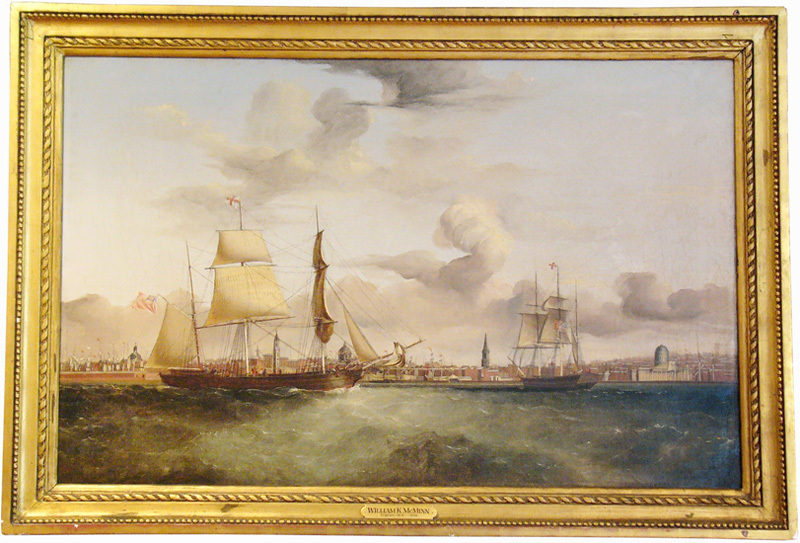 82-83, A. S. Davidson's Marine Art and Liverpool Painters, Places and Flag Codes 1760-1960; and p. 50, Across the Western Ocean: American Ships by Liverpool Artists, for three similar paintings by McMinn.